The iXyr team finally finally—finally!—got their iPads, and have been busy all weekend devouring all kinds of apps on the next revolution in personal computing. We had a friend in the US order the iPads from the Apple Online Store (which ship out from China), after which he re-routed them to the mysterious and magical lands of India. To help us salivate throughout its travels, we had the help of one hell of an awesome service, Junecloud’s Delivery Status. 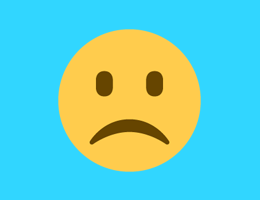 Delivery status is an app/service from Junecloud that lets you track your shipments and packages from various shipping/logistics companies or online shopping websites as they travel through different states and countries to reach to your door-steps. Delivery status achieves this by using the tracking or the order number provided to you by these companies. While this information is often viewable on the company’s website, Delivery Status brings the info you need in a beautiful app, available for our iPhone, iPad and even as a Dashboard widget for your Mac. The iPhone OS app, called Delivery Status touch, is a universal app that costs $5 on the App Store and can be used independently to track your packages. The packages are listed neatly one below the other with the relevant status listed under them. 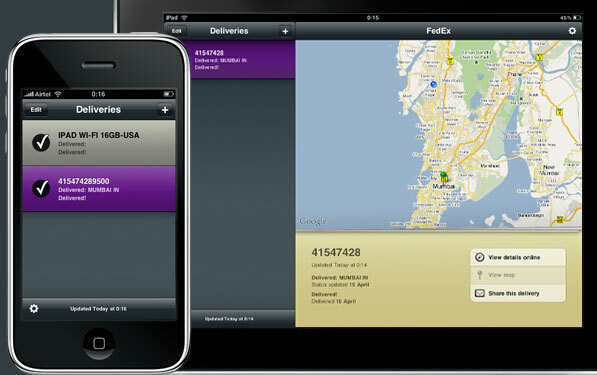 These deliveries are color coded according to which service they belong to – FedEx bearing the purple color, Apple in grey and UPS in a brownish-yellow color. Tapping on a delivery takes you to a detailed view of the status with the options to place the Delivery on the world map, view the status on the company’s website to share the delivery via email. When in the map view, the app also asks for your location, so you can track how far the app is from your hands. This becomes a little annoying if you’re tracking a package that you’ve sent, since the app still considers your location on the map. If you don’t want to spend any money to track your deliveries, they have the option of the Mac Dashboard widget. The widget is missing the map and share feature, so it just quietly sits in your Dashboard and updates the status of your deliveries for you. Junecloud also runs a syncing service that syncs your delivery to their cloud, so you can have the same data on all your devices. The app also keeps a history of your deliveries, which is how we could take these screenshots. Additionally, the Mac widget will also notify the Junecloud server of your deliveries, which in turn will send a push notification to your iPhone or iPad. Most importantly, the touch app and the dashboard widget have a good amount of pixel love given to them and they work flawlessly combined with the sync service that Junecloud offers.